1) This thread is for MODELS and not MODS. Do not post mod requests in this thread. Remember, MODELS ONLY!! 2) No off topic replies. Any I see will be removed immediately, so keep ON TOPIC!! 3) No "blind" requesting. By this I mean USE THE SEARCH FUNCTION and try searching for any possible previous threads which may have the same request in them. 4) Reference material. This is nearly always absolutely essential and may get a particular model request made alot sooner. Make sure when posting reference material YOU USE SITE LINKS ONLY. I do not want to see hundreds of images cluttering up this thread. Remember, any breach of these will have instant deletion once the reply is found, and finally. PLAY NICELY!! Well this isn't a model request so much as a texture request. Would it be possible for somebody to retexture the Son'a ships for A1 so that don't look so............ original A1, i.e. a bit more like they do in the film. Well, UD(Ultimat_Dragon) on my mod team is making a mini mod filled with halo ships. He's also created one or two induviduals. Heres teh links. I would personally like to see more of the ships not out there, we have an abundance of federation but what about less model produced races like the Kazon, breen, Xindi etc. I'd like more of a variance out there with models. I found a really nice one for you. It even has glows. I would like to request a Wraith Hive Ship from Stargate Atlantis. I shall get you some pictures (if you feel you need them) later. There is one available on A2files, if you want it. I know there is, it was done by Draconis. However, the model isn't the best, and I really do not like the textures on it. I was hoping there were others avaliable, but there aren't, thus why I am requesting another. 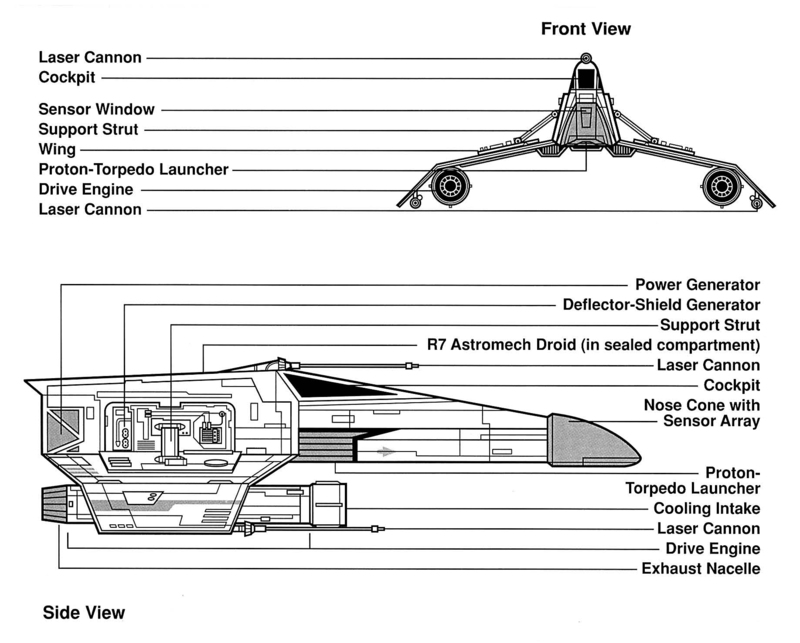 I would really love if somebody made an E-wing from Star Wars that was A1 compatible. Reference schematic here. I know Major Payne posted a MAX file of it here on AFC, and I've tried converting it and some others I found with no luck. Just don't have the knack, but if somebody else could try? I was wondering if it is possible to make a Vesta-class Explorer, like the USS Aventine NCC 82602 under the command of Captain Ezri Dax as seen in Star Trek Destiny. This ship is complete with a Quantum Slipstream Drive Prototype. USS Aventine concept…final ship will be featured on the cover of one of the ‘Typhon Pact’ books in 2010. I was wondering who a good ship designer might be that might be able to create the ships I posted. They will make a great addition for the hero units for the 4th campaign that I would like to create for my mod.